It’s Wednesday! We’re halfway through the week, and it’s time for another edition of Only in Jersey! Who would've thought of West Orange as "status symbol land"? In the wake of Davy Jones’ untimely death last week, I’ve discovered at least two connections The Monkees have to the Garden State. First, I was very surprised to learn that one of their hit songs, “Pleasant Valley Sunday,’ was written about life in West Orange, of all places. 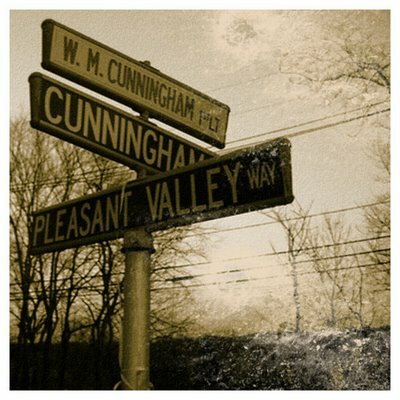 Yup, that’s right: the tune, penned by Carole King and her then-husband, Gerry Goffin, was inspired by their time living on Pleasant Valley Way in the township’s Watchung Mountains. Kinda gives new meaning to the lyrics, huh? The second Monkees/Garden State connection, which I recall but had forgotten, is that the band filmed the video for its ’86 comeback hit, “That Was Then, This Is Now,” at Great Adventure’s arena in Jackson. The song and video only feature Monkees Micky Dolenz and Peter Tork, although apparently Davy was part of the tour. 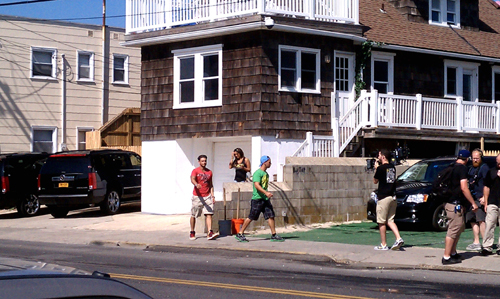 MTV may be premiering Season 4 of “Jersey Shore” tonight, but I’ve already caught a glimpse of Season 5! I was down the Shore last Tuesday, July 26, to celebrate my birthday at Island Beach State Park, which is adjacent to Seaside Heights, the home of “Jersey Shore.” On a whim, I decided to drive by the infamous den of iniquity just to see what it looked like in person. Seriously, I had no expectations other than that. Well, guess what? I drove (then walked) right into the middle of filming for the show! Happy birthday to me! “Real Housewives”: What happens when their big fat fabulous lifestyles are over? And for some of these ladies, by *reality* I mean near financial ruin. You know, as in bankruptcy. While I don’t derive any pleasure seeing the lives of these women come crashing down around them, watching them struggle – you know, like everyone else is doing these days – makes them a lot more relatable. And I sure find it fascinating to see how they handle it. 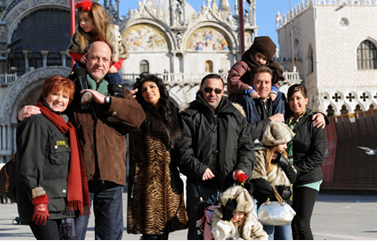 I’ve seen some people kvetching online about how lame this week’s “My Big Fat Italian Vacation” episode of “The Real Housewives of New Jersey” was, but I loved every minute of it. Since I first started watching Johnny Weir’s reality show “Be Good Johnny Weir” last week, I have seen the U.S. figure skater (and Jersey boy) all over the place. And that’s a good thing! I think he really hit it off with correspondent Frank Deford (himself a Princeton University graduate), don’t you? Johnny was back on the tube this morning, visiting “Regis & Kelly.” Kelly Ripa, herself a Jersey girl, is evidently a huge fan. Johnny also is featured in a Vanity Fair spread on athletes of the 2010 Olympics. The caption accompanying Johnny’s photo includes his revelation that after competing in this month’s World Figure Skating Championships in Italy, he plans on a little sojourn to Mongolia, of all places. Alas, not all of the Johnny-mania lately has been positive. People reported that two insensitive and clueless Canadian sports broadcasters stuck their feet in their mouths when they made inappropriate remarks about Johnny during the Olympics. “This may not be politically correct, but do you think he lost points due to his costume and his body language?” Claude Mailhot of RDS, a French-language sports channel in Quebec, is quoted as saying. Fellow broadcaster Alain Goldberg said he thought that Johnny’s mannerisms might hurt other male figure skaters. The mocking didn’t stop there, though. The pair also joked that maybe Johnny should be required to take a gender test and that perhaps he should compete against women instead. In his typical style, Johnny rose above the fray.